Thinking about this quote, you can envision those people in your workplace who always smile. They seem to have more confidence and appear happy most of the time. They may be putting on that smile for public consumption and on the inside feel very differently, but you want to get a bit of their confidence. You will do it however you can, everything from eating right to getting regular exercise. Another option is to perform a partnership with your local orthodontist. One way that you can change your confidence and wear your smile more is by finding out what might need to be corrected about your smile. When you go to the orthodontist, your entire mouth and bone structure will be assessed. An orthodontist may find some irregularities and suggest a treatment plan to correct things such as crooked teeth, overbites, and underbites. 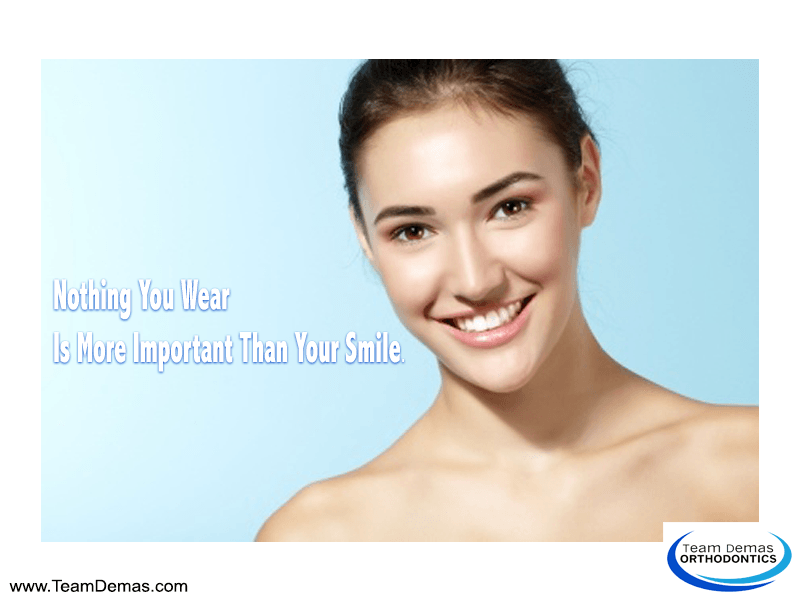 The point is that the orthodontist will help you fix your smile so you will feel positive about wearing it every day. Once you have consulted your orthodontist and you fully understand the steps that would be involved to fix your teeth, you can determine whether the treatment plan will fit your budget. It could take some time to save up for all of the recommended procedures, but the end result will be a better smile. Meanwhile, you can focus on the aspects of treatment as well as different financing options that will get you started. Then, you can dress with a smile every day, which makes all of the difference in the world when things get stressful. 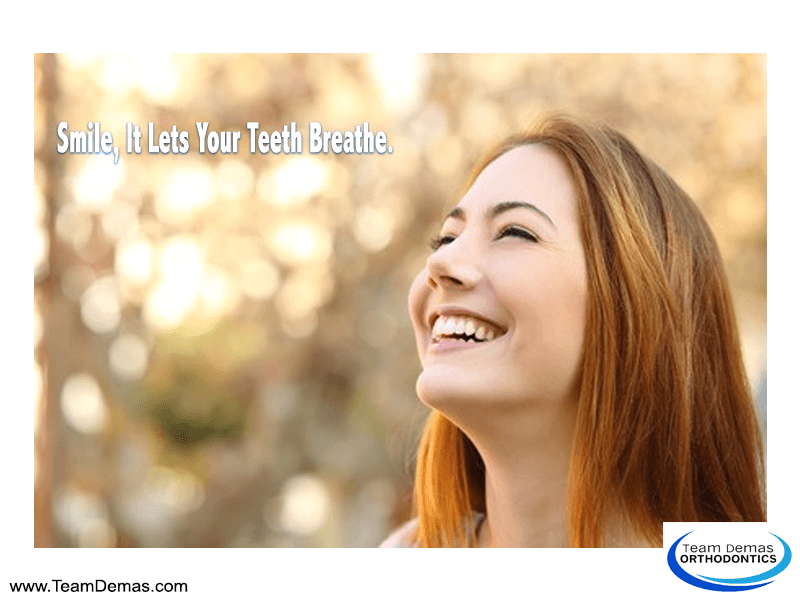 Contact Team Demas Orthodontics today for a complimentary consultation.